The holiday season is here! I bet you're as excited as I am! Christmas is just around the corner and 2017 is coming real quick. As there's a huge chance I might be staying in the hospital during Christmas day (I'm due to give birth on Christmas eve), I decided to get my holiday gifts for the loved ones early this year. We don't usually exaggerate on Xmas gifts in our family, we exchange pretty little things, most of the times personalized, sometimes home made; then gather and have lunch together. Not everyone in our family is a traveler, but I've gathered some ideas of affordable holiday gifts for family members (or friends!) who love to travel. What's more useful to start a new year than a calendar? That's my choice for some family members this year, including my mother in law. For a lady her age, she travels quite often. So I pick 12 best photos of her on trips with our babygirl, and ordered a personalized small on-table calendar with one photo for each month. I ordered one for our home too, with our family photos on different places in the world. 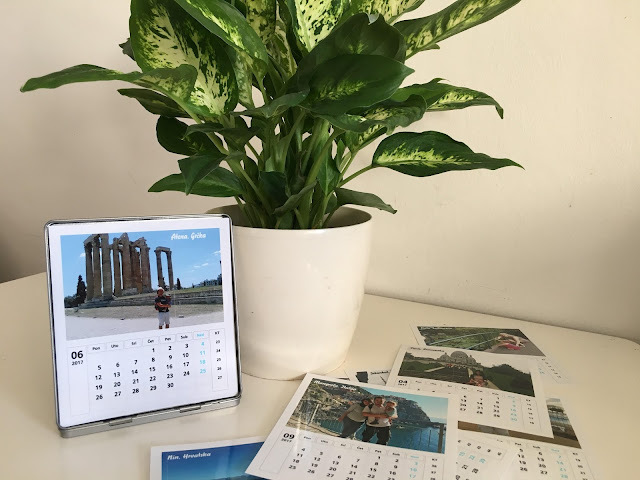 I spent around one hour collecting and uploading the photos, and the calendar was delivered four days later and cost 50.00 kn (a little less than €7). If you're in Croatia, you can order it here where I got mine. This one is not a personalized gift, but if someone travels a lot, whether he flies often or takes train and bus rides, he might enjoy a good travel pillow. Last year when asked what he'd like for Xmas, my husband said he wants a travel pillow. After at least four travel pillows (none of them he really loved), this €15 Samsonite U23 finally satisfied him. It works much better for him than inflatable pillows. Now his recent obsession is the recently launched iClip, a replacement for classic wallets that keep lots of cards neatly, which I believe is a pretty handy accessory for frequent traveler. 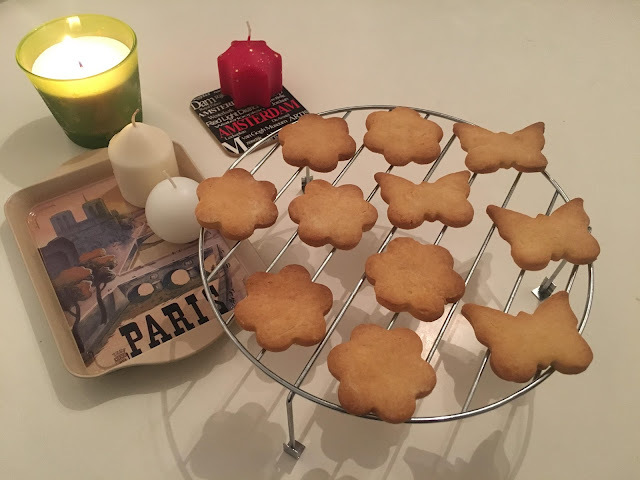 I have this recipe for super delicious Danish butter cookies I've been making for years. Everyone who had tried them love them. My husband and my babygirl could eat tons of them (send me a message if you want recipe). I make them for every holiday season, and I've been thinking to get this world-map cookie cutter from Amazon. Which traveler wouldn't absolutely love home-made cookies in the shape of a world map? If you don't like the shape of a map though, you can cut out your cookies in your preferred shape and put them in a travel-themed cookie tin. Remind your loved ones of their favorite travel destinations by getting them specific kind of spices or tea. Wrap them nicely and they'll make affordable sweet little gifts. Try curry mix for someone who can't forget about their India trip, Provence spices for them who love southern France, or Italian spices mix for, well, the ones who fell in love with (or in!) Italy. If they're not that into cooking, try exotic teas. There's no better season for drinking warm sweet tea than holiday season. I buy my teas in Harissa spice store, you can order here in their webshop, plus now you can try their Xmas edition teas. Get 100 grams of Advent voćni (fruity advent) tea for €5, pack it in a transparent glass jar and voila, beautiful, aromatic, warm gift. Last but not least, of course, the ultimate gift for travelers: plane tickets! Don't worry, they don't have to be expensive these days. I got my husband a return tickets to Paris for his birthday for less than €20! Check Ryan air, Wizz air or Easyjet if you're in Europe, and you could easily find great ticket deals. If you're in Croatia, Flixbus offers many destinations from Croatia at really good prices. They have new buses with comfortable seats and on-board wifi! The problem with giving tickets is you have to know the person's schedule really well. If you want to surprise him/her with a trip, you better make sure he/she'll be available for a getaway on those dates you pick!